AZ INDUSTRIES prides itself on being a one stop shop for industrial permanent magnets and magnets of all kinds. From hobby magnets to complex assemblies, AZ INDUSTRIES has become one of the top retailers in the online magnet sales market. Having been in the magnet business for 45 years, AZ INDUSTRIES specializes in a wide variety of magnets, including neodymium magnets and bulk magnets, but also magnetized equipment like our magnet sweeper bars and the very popular FODMASTER® ROCKSWEEPER. We offer a wide selection of very powerful magnetic sweeper bars in many lengths. We are your best source for sweepers, wheel kits, and magnetic brooms. Made in USA. Get the tried and true workhorse for removing foreign object debris (FOD) - our bestselling FODMASTER® ROCKSWEEPER series. Read more about models and specs. Made in USA. Wholesale permanent magnet supplier and USA magnet manufacturer. Custom sizes, stock sizes, small orders and precision magnets. Large scale permanent magnet production. Small orders also accepted. State-of-the-art water jet cutting services. We have the expertise and staff to handle your project quickly and at a competitive price. Advanced water jet cutting technology will cut anything with precision. Full service CNC machining capabilities on site. Work with a company you can trust. Production and prototyping with our CNC machine shop. Read more about our Haas VF-3 Super Speed Vertical Machining Center. Complex or simple magnetic assemblies produced on site. We are a top USA supplier for magnetic assemblies due to our outstanding service and competitive pricing. Made in USA. AZ Industries would like to say ‘Thank You’ to all of our valued customers. Because of your continued support, we have been a top supplier and manufacturer of wholesale industrial magnets since 1972. All of our magnets for sale are manufactured with the upmost care and precision. We manufacture custom close tolerance parts in any size and grade of magnetic material according to your specifications. We offer DFAR and RoHS Compliant material, as well as offshore materials. We have a huge variety of industrial magnets for sale. As a custom magnetic manufacturer we are able to wholesale the perfect magnets for almost any use. In an effort to better serve our customers growing demands, we have also expanded our wide range of machine shop capabilities to include CNC machining and Waterjet cutting. At AZ Industries, we enjoy working closely with you to ensure that you get exactly what you need every time. Call today and speak with one of our friendly staff. You will always speak with a real person, no voice mail or automated attendants. 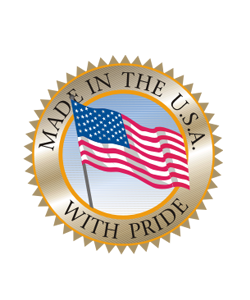 Being a custom magnetic manufacturer and wholesaler lets us offer some of the best industrial magnets for sale in the U.S.A. We look forward to doing business with you! – Jim Adam, President, AZ Industries, Inc.